Saturday 8 July 2017 Garden Party, St Ethelwolds House Abingdon, Wind Trio. St Michael the Northgate in Cornmarket, Oxford. Sunday 17 December 2017 Unicorn Theatre Abingdon Pavlova Quintet Christmas Concert. Carols and Christmas music to include Cecilia McDowall Winter Music. Thursday 22 September. Christ Church Cathedral. Conference for Oxford Analytica. Saturday 11 April 2015 Islip Music Society 6pm. 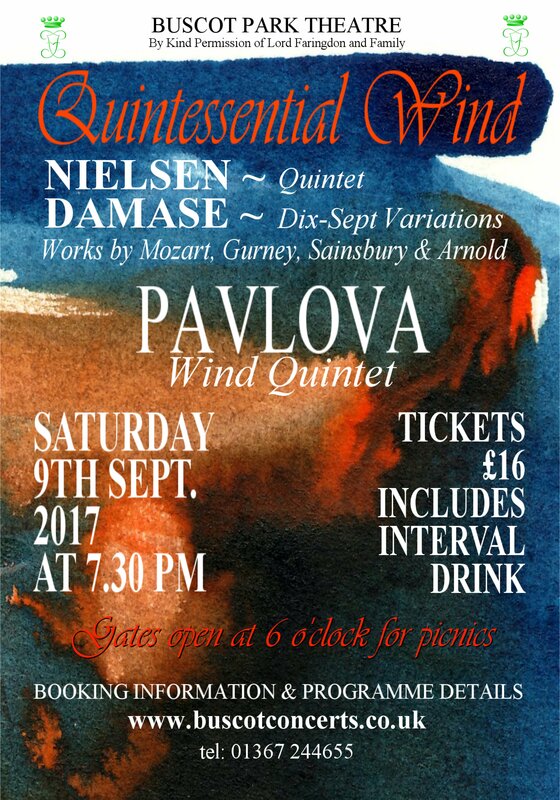 Quintet concert. 15 June 2014 Challow Park, Wantage. Opening concert of new hall. 18 May 2013 Another birthday party in Oxford. 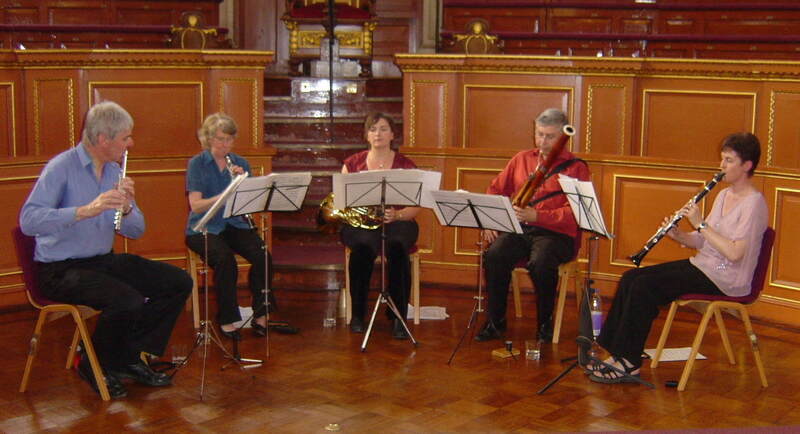 15 December 2013 Abbey Chamber Concerts. Pavlova Christmas concert. 28 October 2012 Birthday party in Oxford for composer Clement Jewitt. 5.30pm JDP concert hall. 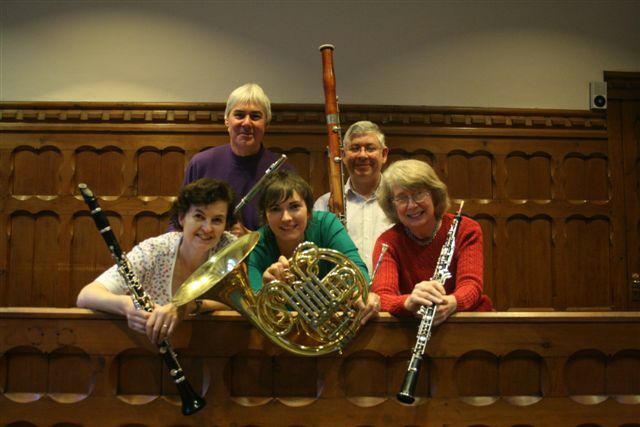 16 December 2012 Christmas concert, Abbey Chamber Concert series, Abingdon. 3pm – 4pm. 1-5 December 2011 Twinning trip, Colmar, Alsace-Lorraine. Three concerts. 24-27 October 2008 Twinning trip to Grenoble, France, part of ‘British Week’ in Grenoble, two concerts. 3 – 5 October 2008 Twinning trip to Bonn, Germany. By invitation of Bonn City Council and Oxford-Bonn twinning organisations. Two concerts. December 2007 Christmas Concert, Unicorn Theatre, Abingdon. 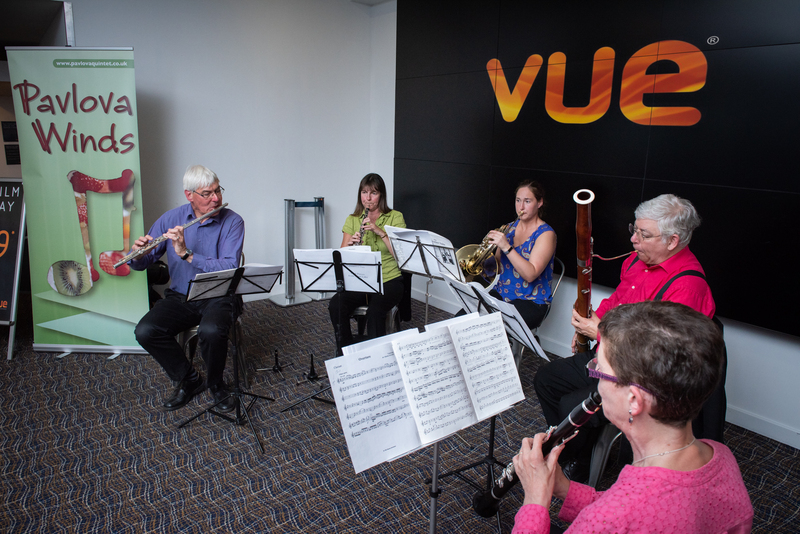 Festive, light and enjoyable pieces for wind quintet including Tchaikovsky Nutcracker Suite and Christmas Carols. Friday, 19 October and Saturday 20 October 07 Twinning trip to Argentan, France. 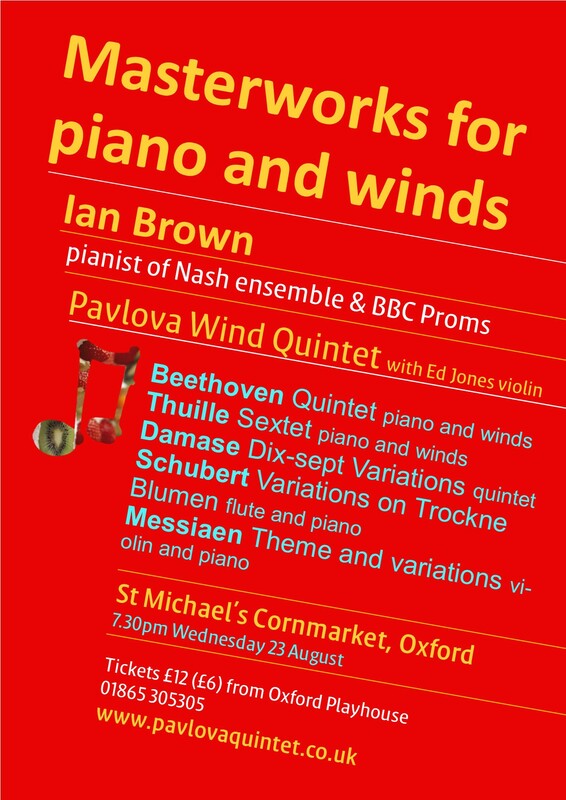 Three concerts in two days! A wonderful trip!! March 07 Challow Park Concert Hall, Wantage.